We arrived in Edmonton as planned and settled for the week at the Glowing Embers Campground just west of the city. Weather has been breezy at times but sunny and warm - in the mid 80's. 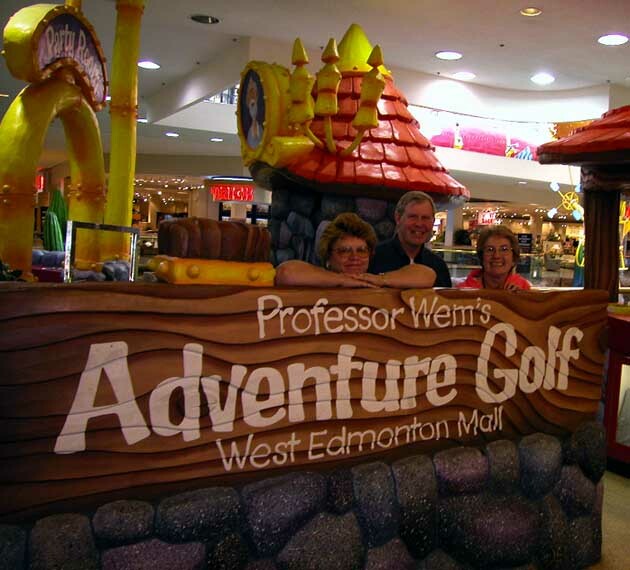 We spent our first day exploring the West Edmonton Mall which claims to be the largest in the world. 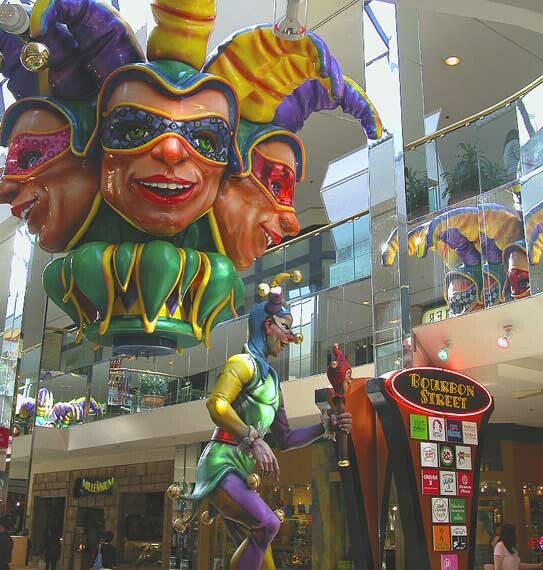 It has over 800 stores, 26 movie theaters and lots of restaurants. 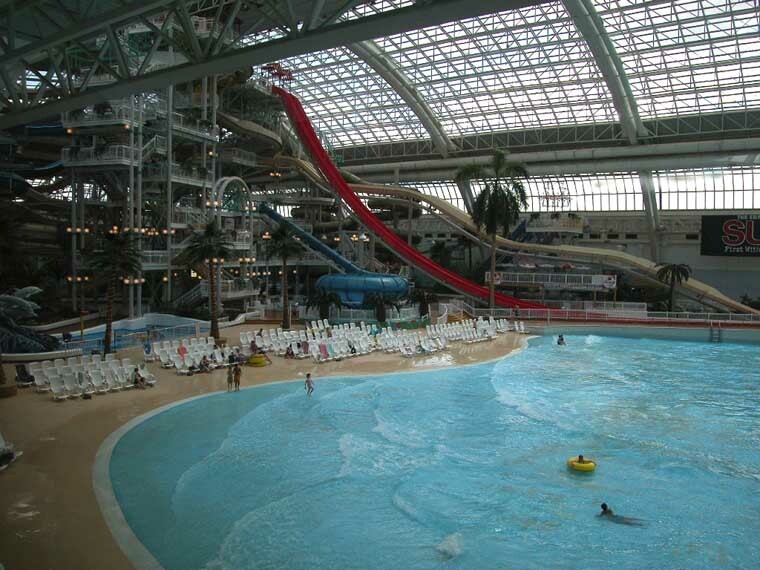 In the middle of all these is an NHL size ice rink and the world's largest indoor wave pool with miles of water slides. It also has an amusement park with a triple loop roller coaster (no we did not ride it!). We did however play the 18 hole mini golf course (Steve won) and rested our weary legs at one of the movies. (We all enjoyed Bruce Almighty - it's even funnier than its promos). I didn't contribute much to Edmonton's economy as all I bought was a package of almond/amaretto hot chocolate. But Robbie made up for me! 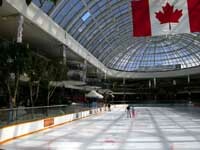 Besides being huge, the mall is also quite beautiful with lots of glass skylights. 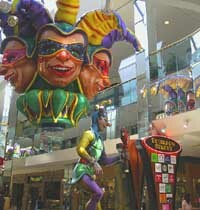 There's several theme streets, including Bourbon street. Saturday was spent walking around Fort Edmonton Park. 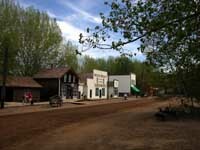 This park is reputed to be Canada's largest living-history museum. It depicts Edmonton in four eras. There's a replica of an 1846 Hudson Bay Co. fur-trading fort, an 1885 settlement, a 1905 city street complete with working streetcar, and a 1920 business community. Costumed interpreters give demonstrations and add to the feeling of the period. Fred thought the best part was the 1920's ice cream parlor. 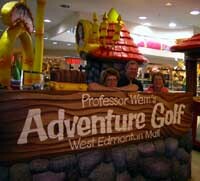 On Sunday, after a gourmet waffle and strawberry breakfast by Chef Fred, we visited the Provincial Museum of Alberta. It has the largest exhibit of minerals and gems we've ever seen. Some really spectacular specimens. Also an ugly but fascinating exhibit of rare, live bugs - huge scorpions, tarantulas, beetles, etc. The largest exhibit was a gallery depicting 11,000 years of aboriginal history. We learned that the politically correct term for Indians is now Aboriginals. In Canada, the first encounters with the natives were for fur trading, not for settlement as in the US. Therefore the encounters were more peaceful. However, the end result was still the same - attempts to "civilize" and convert the pagans, then banishment to reservations. The best part of the exhibit were some gorgeous displays of beadwork from the 1800's. We also went to the Muttart Conservatory, four pyramid-shaped greenhouses containing plants from different climate zones. This is rated as a GEM attraction by AAA but we were disappointed. The displays were quite small compared to others we've seen and not as nicely displayed as the Conservatory at the Bellagio! 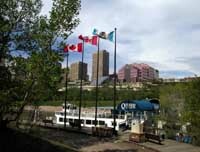 The North Saskatchewan River winds thru the heart of Edmonton. It was such a pretty day that we decided to take an hour cruise on the Queen Edmonton paddlewheeler. 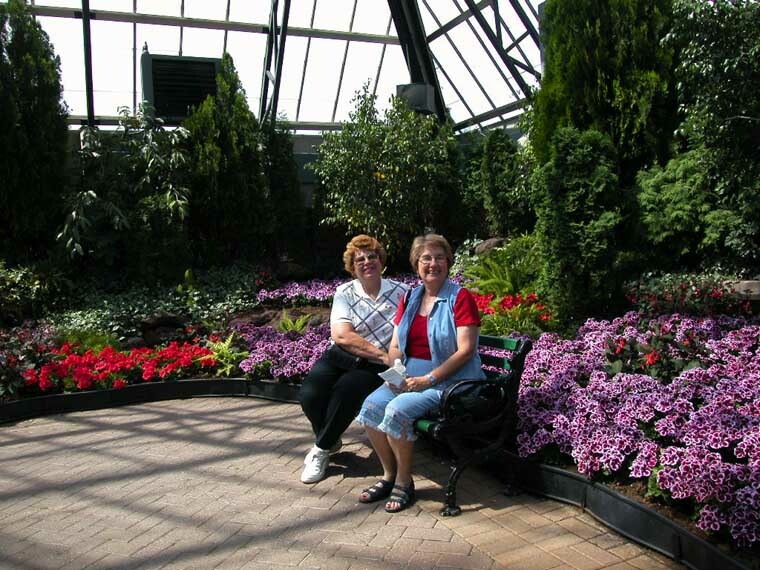 There are miles of parkland all along both sides of the river with biking and hiking paths. And people were out in full force, taking advantage of the warm weather. 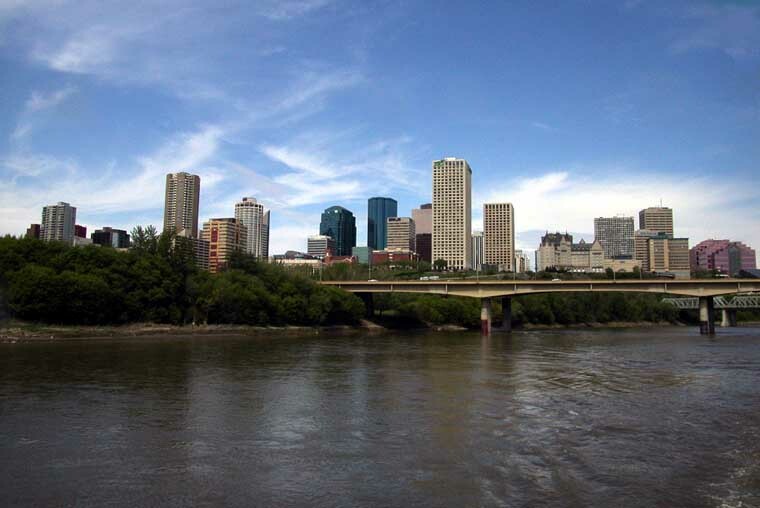 We had heard that there were some quaint shops and restaurants in a part of Edmonton called Old Strathcona. So we headed there for a late lunch/early dinner. We sure felt old and out of place on the streets. Think we were the only ones over 30. It's a very Bohemian area with lots of coffee shops and stores selling incense. We did have a delicious meal at an Italian restaurant before heading back to camp. It started raining about 10:00 last night and is still wet and gloomy this morning so won't be doing much sightseeing today. 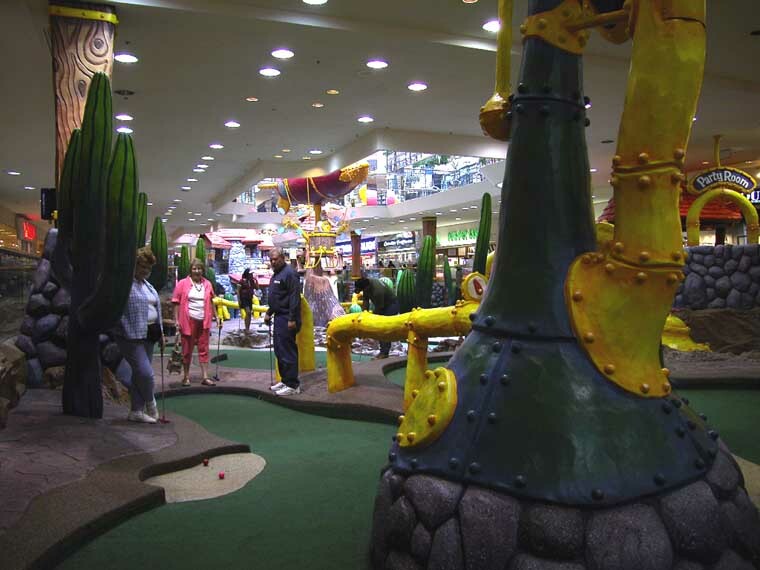 Maybe go back to the Mall for some more movies and golf. Besides, it's time to give our poor feet a rest.